The world of cricket has been rocked by the incident of ball-tampering recently. The most amazing event of the month had to be the opening ceremony of the Indian Premier League but it was silently replaced by the infamous ball-tampering incident involving the Australian skipper Steve Smith and vice-captain David Warner. The events have taken sharp turns and have resulted in a one year ban for the two players from the Cricket Australia. As a result, Steve Smith and David Warner will also not be able to play in the Indian Premier League. Notably, both the players were to be the captains of Rajasthan Royals(Steve Smith) and Sunrisers Hyderabad(David Warner). The ball-tampering issue has drawn all sort of comments from the world of cricket. The one-year ban decision has seen mixed reactions from the cricket fraternity. On one side Sachin Tendulkar has supported the decision of the ban, on the other hand, the likes of Shane Warne have termed the ban as too severe. The most recent comment comes from the Australian Coach Darren Lehmann who said "The players involved have been handed down very serious sanctions and they know they must face the consequences. They've made a grave mistake, but they are not bad people. As a coach you feel for them as people, they are hurting and I feel for them and their families. I hope that in all this, the media and the fans don't forget that,”. 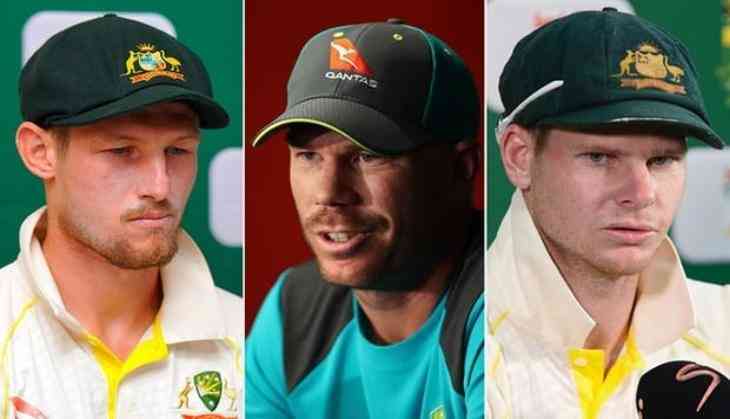 Steve Smith and David Warner have been banned for 12 months by Cricket Australia for their role in the scandal while young Cameron Bancroft has been banned for nine months. Steve Smith and David Warner have lost their IPL contracts as well. David Lehmann reiterated that everyone should remember that each one of us has made mistakes in our life.